Downtown Abacoa hosts another, great Food Truck Invasion, this Friday, May 12, 2017. The festivities start at 5:00 pm and continue until 9:00 pm. With a large variety of food trucks, this is an event is even for the pickiest of eaters. Bring a chair, blanket, or even table and enjoy the wonderful south Florida weather, while devouring local food. A DJ will be playing music from the amphitheater for all to enjoy. Downtown Abacoa is also home to many restaurants and bars, as well as shopping. This is a family friendly event, which is free to attend! Free, plus the cost of food and beverages. 122 Florence Drive is a three (3) bedroom, three (3) bathroom home, located in Abacoa with a pool. This home features an open floor plan with new, laminate wood flooring and plantation shutters throughout. The master bedroom and the ensuite guest room both have private access to the screened in pool and patio. Not only can you and your guests enjoy the south Florida weather on the patio but this home also is fitted with a large front porch with a view of the quiet, shady street. Contact a Better Homes and Gardens Real Estate agent today to see this well kept, Abacoa home that’s centrally located by restaurants, shopping, and Roger Dean Stadium. For more information on 122 Florence Drive in Jupiter, contact a dedicated Better Homes and Gardens Real Estate agent to show homes in Abacoa or in other parts of South Florida. Located in Abacoa Town Center is 4313 Savannah Bay Place, a three (3) bedroom, three (3) and a half bathroom home. 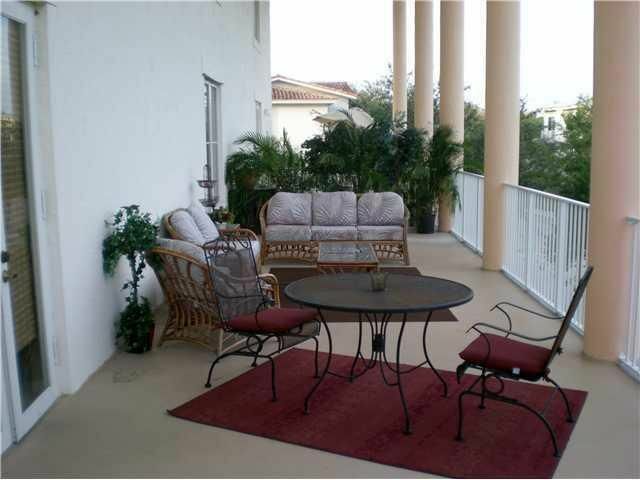 This Abacoa town home has been beautifully upgraded with hardwood flooring throughout. The updated, bright kitchen includes stainless steel appliances and plenty of bar space. The master bedroom is particularly eye catching with pecky cypress ceilings and river rock bathroom flooring in the master bath. An additional bonus room is located upstairs, which could be used as an office. Located within walking distances to many restaurants, stores, and the Rodger Dean Stadium, this home really is a gem. Speak with a Better Homes and Gardens agent to see this home today! For more information on 4313 Savannah Bay Place in Jupiter, contact a dedicated Better Homes and Gardens Real Estate agent to show homes in Abacoa or in other parts of South Florida. Located on Main Street in Abacoa is this bright, three story town house at 4246 W Main Street. This home is fitted with three (3) bedrooms, two (2) full bathrooms, and two (2) half baths. The first floor is great for a small business and also has a two car garage. The second floor features a kitchen with a pass through window, living room, and a balcony that over looks the street. Immaculately kept, this home is within walking distance to Down town Abacoa, which has restaurants, shopping, and more. Additionally, Roger Dean Stadium is within walking distance as well. Be in the heart of Abacoa in this Main Street town house by speaking with a Better Homes and Gardens Real Estate agent today! For more information on 4246 W Main Street in Abacoa, contact a dedicated Better Homes and Gardens agent to show you homes in Jupiter or in other parts of the Palm Beach County. 187 Barbados Drive is three (3) bedroom, two (2.5) bathroom home is located in the Island at Abacoa. This home is fitted with a comfortable front porch that adds a welcoming touch. Wood flooring is located in the main part of the home, with carpet in all of the bedrooms. The central kitchen features a breakfast bar, as well, as a pass through window to the dining area. The master bedroom and guest bedroom, each have patio access through the large sliding glass doors. Enjoy the Florida weather in the heated pool under the screen enclosure. To see this property, contact a Better Homes and Gardens Real Estate agent today! For more information on 187 Barbados Drive in Abacoa, contact a dedicated Better Homes and Gardens agent to show you homes in Jupiter or in other parts of the Palm Beach County. 1160 S Community Drive is a three (3) bedroom, two (2) and a half bathroom, Key West style town house in Abacoa. This home is fitted with hardwood flooring and plantation shutters on the first floor. Featured in the kitchen are granite counters, stainless steel appliances, and a breakfast bar with pendant lighting. Upstairs, the master bedroom has a large private balcony and the guest bedroom has a smaller, private balcony, located on the back of the home. The front porch adds additional outdoor space to this quaint town home. View this property today by contacting a Distinct Estates agent today! For more information on 1160 S Community Drive in Abacoa, contact a dedicated Distinct Estates agents to show you homes in Jupiter or in other parts of the Palm Beach County. This listing courtesy of JIC Realty, Inc. Located in Valencia at Abacoa is this three (3) bedroom, three (3) bathroom home with a courtyard at 317 Galicia Way. Inside this unique home are 12 foot ceilings, crown molding, plantation shutters throughout. The open style kitchen features a center island, breakfast bar seating, and stainless steel appliances. Large sliding glass doors in the family room lead out to the courtyard. Enjoy views of the atrium with a water fountain from the den/library with a built in desk and book shelves. The master bathroom is spacious with an open concept shower. This home won’t last long, as it’s close to shopping, restaurants, and Roger Dean Stadium, so book a viewing with a Distinct Estates agent today! For more information on 317 Galicia Way in Abacoa, contact a dedicated Distinct Estates agents to show you homes in Jupiter or in other parts of the Palm Beach County. Located in Downtown Abacoa is Aaron’s Table, a restaurant with a locally sourced menu designed around great ingredients. Guest will enjoy innovative foods in a relaxed, eclectic atmosphere both outside on the patio or in the main dining room. The menu allows guests to try both small plates, like the Truffle and Ricotta Ravioli, to full entries, such as Tuscan Chianti Classico Braised Veal Cheeks. Local farms and fisherman provide all the fresh ingredients, which are purchased daily. Wine lovers will be sure to enjoy the three nitrogen contained wine dispensers which hold a unique collection of red, white, and bubbly wines. Make yourself at home and have a glass of wine, as Chef Aaron Fuller prepares culinary adventures for both new and returning guests. 1155 Main Street 202 is a two (2) bedroom, two (2) bathroom, ideal starter home located in Abacoa. This Portofino floor plan home features cherry wood floors and a double master bedrooms. The kitchen has a pass-through which can double as bar seating. The outdoor, covered patio is over 600 square feet and features southeast views that are unobstructed. Additionally, this home is located in the center of Downtown Abacoa, which has restaurants, shopping, and more. Book your viewing with a Distinct Estates agent today! For more information on 1155 Main Street 202 in Abacoa, contact a dedicated Distinct Estates agents to show you homes in Jupiter or in other parts of the Palm Beach County. 123 Barcelona Drive is a four (4) bedroom, three (3) bathroom, Florida style home, located in Abacoa. There are a variety of ceiling styles are throughout the home, as well as, plantation shutters. The large kitchen is fitted with stainless steel appliances, granite counter tops, and an eat-in bar. Additionally, there is a dry bar adjacent to the kitchen. The master bedroom has access to the back patio with large sliding glass doors. The tropically inspired, fenced backyard holds a patio and has plenty of room for a small swing-set or pool. This Abacoa home is located just minutes from shopping, restaurants, and more at Downtown Abacoa. For more information on 123 Barcelona Drive in Abacoa, contact a dedicated Distinct Estates agents to show you homes in Jupiter or in other parts of the Palm Beach County.